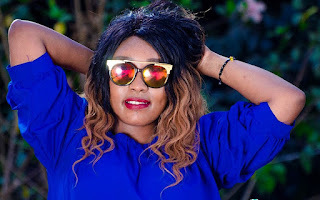 In the new track, the singer, real name Marie Njoroge seeks to establish her belief in God while pointing out that she does not recognize the rumoured secret cult, the illuminati. “Najua Mungu si Illuminati, sijali kero za watiaji,” she sings in the hook. Mariej, who started her musical journey in September 2018 by releasing I’m Ok is currently working on her fourth project titled Me Nae. Speaking to Amazing Kenyans, Mariej, who's also a mother opened up on juggling between being a mother and her singing career. She also has another single titled Giogode under her belt.